AMAZING SPIDER-MAN #131 COVER MOCKUP (1973). Media Type: Pencil and Ink. Artist(s): Gil Kane (pencils & inks). This nice DETAILED cover prelim is drawn on 11 by 17 inch drawing paper, and is framed under glass with a copy of the comicbook cover, featuring Spider-Man [Peter Parker] tryingto stop the wedding of Aunt May Parker and Dr. Just a GREAT, “SIGNED” CLASSIC “AMAZING SPIDER-MAN” Cover prelim to own, without paying a published ASM cover price, while still showing off Gil Kane’s incredible, pure, untouched pencils AND INKS, just before he created the published cover for publication! Compare this nice cover art to the published comic book. Any other special requests? 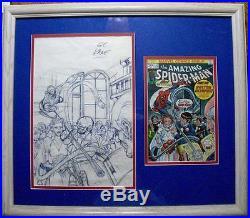 The item “Kane, Gil AMAZING SPIDER-MAN 131 COVER MOCKUP Original Art (1973)” is in sale since Saturday, May 17, 2014. This item is in the category “Collectibles\Comics\Original Comic Art\Covers”. 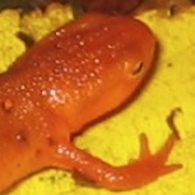 The seller is “romitaman” and is located in Ravenna, Ohio. This item can be shipped worldwide.